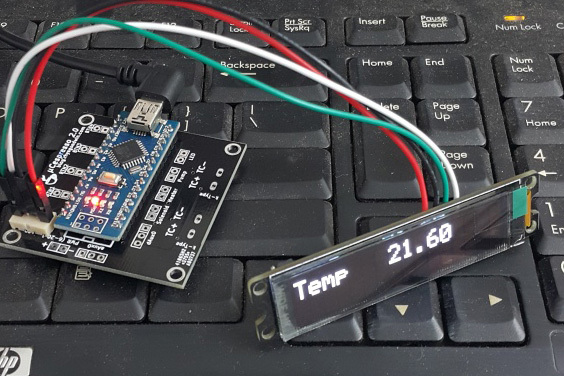 Several years ago, [Cameron] added an ATMega328-based PID temperature controller to his espresso machine. It has performed admirably to this day. But behind that cool bezel and LCD, all of the electronics are just sitting there, exposed. [Cameron] decided to give it a makeover. He has a better machine at home these days and wanted to take the old one to work. In order to keep untrained hands away from it in the office’s shared kitchen, [Cameron] installed a 4-digit keypad. This makeover didn’t end with hiding wires and locking out noobs, though. [Cameron] added a float switch that will disable the pump when the water level gets too low. This is a nice touch. Otherwise, machines like this one will try to brew when the tank is dry, and then the pump has to be primed once the tank is refilled. [Cameron] also replaced the buttons’ back-lighting bulbs with bright LEDs. A small LCD mounted on the front of the machine shows the boiler temperature and shot-pulling duration. If you’ve add PID temperature control to your espresso machine but have done nothing to improve the steam wand, why not add a pressure gauge?